Join us for the 26th annual family friendly, non-competitive bike ride at Antelope Island State Park, in the middle of The Great Salt Lake. 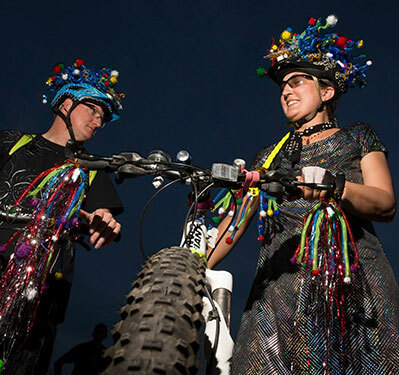 The ride starts July 12, 2019 at 10pm (check-in starts at 7:30pm) at White Rock Bay—(White Rock Bay 4528 West 1700 South, Syracuse UT 84075) and is lit by the full moon. The 24 mile route goes from White Rock Bay to the historic Fielding Garr Ranch and back. The road is asphalt - road or mountain bikes are both great. Your tickets will be instantly delivered via text message upon purchase. To check-in, simply present your text message. We will re-send your confirmation text message again on the day of the ride. Easy Check-in via Text Message! The Antelope By Midnight Ride is a fun way to keep in shape, perfect way to experience Antelope Island, and an ideal way to give back to the community. 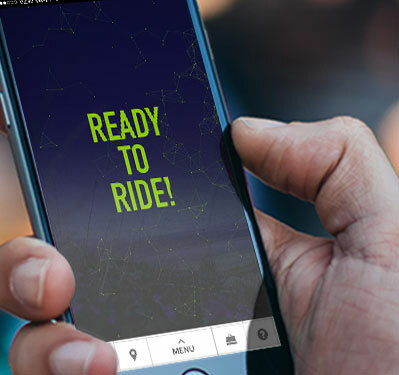 You will receive a text message confirmation and you're ready to ride! 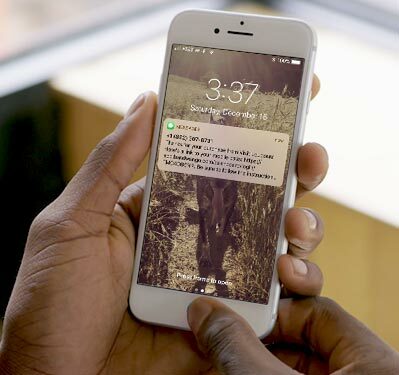 When you arrive at the race, check in by presenting the text message you will receive after purchase. We will re-send this text message the day of the race. 1. The undersigned is aware of, and agrees to fully comply with, all of the rules and regulations of Davis County and the Antelope by Moonlight Bike Ride. 2. Prior to signing this release, waiver of liability, and indemnity agreement, the undersigned acknowledges and agrees that he/she is fully informed of and approves the event route, schedule, plans, and rules, and has had the opportunity to traverse the event route. 3. The undersigned acknowledges that he/she is physically able to participate in this event and agrees to wear an approved helmet during the event and to utilize an approved headlight that is in good working order through the course of the Antelope by Moonlight Bike Ride. RISKS ASSOCIATED WITH THE ANTELOPE BY MOONLIGHT BIKE RIDE. 5. The undersigned acknowledges and confirms that the decision to engage in or participate in the Antelope by Moonlight Bike Ride and to sign this release, waiver of liability, and indemnity agreement is a voluntary decision and act on the part of the undersigned. 6. The undersigned herewith agrees to release and waive any and every claim for liability or otherwise, which the undersigned may have against Davis County, the Davis County Community and Economic Development Department, an any of the officers, employees, agents, representatives, and volunteers of Davis County or the Davis County Community and Economic Development Department arising from any injury to the undersigned or any other person or damage to the property of the undersigned or any other person resulting from the participation in the Antelope by Moonlight Bike Ride. Department, and its respective officers, agents, officials and employees, and volunteers harmless and release them from any liability, costs, or expenses arising from any action, causes of action, claims for relief, demands, damages, expenses, costs, including defense costs, fees, or compensation, whether or not said actions, causes of action, claims for relief, demands, damages, costs, fees, expenses and/or compensations are known or unknown, are in law or equity, including, without limitation, all claims of relief which can be set forth through a complaint or otherwise that may arise out of the participation in the Antelope by Moonlight Bike Ride by the undersigned. Department for damages or injury which might occur from participation in the Antelope by Moonlight Bike Ride. 9. The undersigned further grants permission to the event organizers to make and use photographs, recordings, films, or videos of me in their reports and promotions of the Antelope by Moonlight Bike Ride. Customer information is collected for the purpose of processing your order. This information is kept confidential and is not shared. During checkout, we may ask you if you would like to receive marketing communications. If you opt-in, you will receive periodic communications from Davis County and participating golf courses.